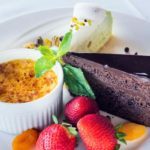 On a night when you are craving Italian cuisine, Vero offers many fine choices. 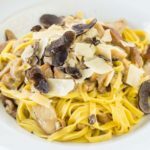 Near the top of the list is Trattoria Dario on Vero’s South Beach, and our visit last Thursday evening could not possibly have been more of a success. Proprietor Dario Bordoli, as usual, was at the front door to greet us, and while on our previous visit we had opted for a table in the red dining room, on this evening we decided to dine out on the enclosed seaside patio. Even before we placed our wine order, our veteran server Bernardo brought us a basket of hot bread out of the oven and a dish of olive oil and herbs. For an appetizer on this evening, we decided to share an order of pepata clams ($15). These peppered steamed clams were sauteed with garlic, and served in a luscious light broth that included heirloom cherry tomatoes. A wonderful start. We then enjoyed the very nice house salads included with meals. 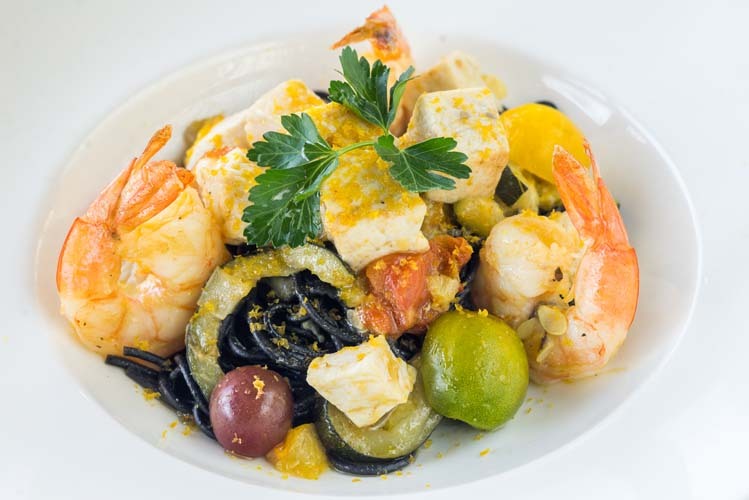 For entrées, I chose one of the day’s pasta specials, the tagliolini porcini ($36), and my husband opted for a special seafood dish, the grilled whole branzino ($44). 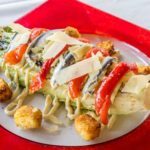 These two dishes turned out to be an affirmation of my belief that the simplest dishes – when done well – are frequently the best. 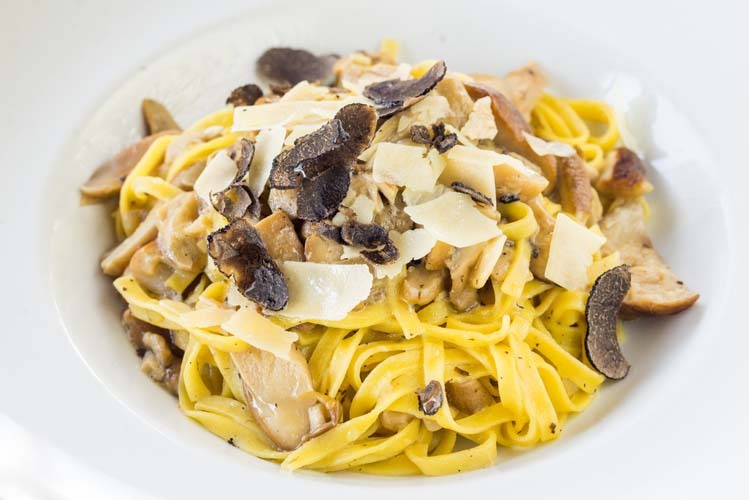 My pasta dish consisted of fresh homemade thin fettuccine pasta, tossed with porcini mushrooms and shaved fresh truffles. This was an exceptionally good dish, just loaded with porcinis, all with a wonderful truffle flavor. Simple, but perfectly executed. 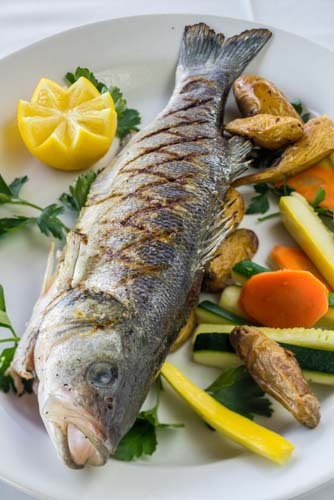 And my husband’s branzino, a European sea bass starting to gain popularity in the U.S., also benefited from a very simple preparation – a fresh fish grilled in extra virgin olive oil. Brought from the kitchen whole, it was fileted and deboned tableside, and plated beautifully. 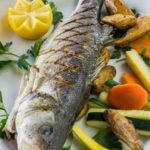 Tender and juicy, and served alongside tasty veggies, the branzino transported the flavors of the Mediterranean to the table. For dessert, we had a crème brulee ($10), and finished our meal with a double espresso ($7). On a previous visit, I also enjoyed the cioppino introduced here by Chef Gregorio Silipo, who took over the kitchen at Dario’s a year and a half ago. There are many versions of this maritime stew. 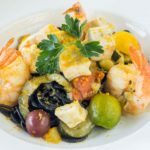 Chef Silipo’s cioppino is an array of calamari, shrimp, diver scallops, mussels, clams, cherry tomatoes and carrots, served in a light broth. The seafood is very fresh and tender, and the broth is well seasoned and extremely flavorful. 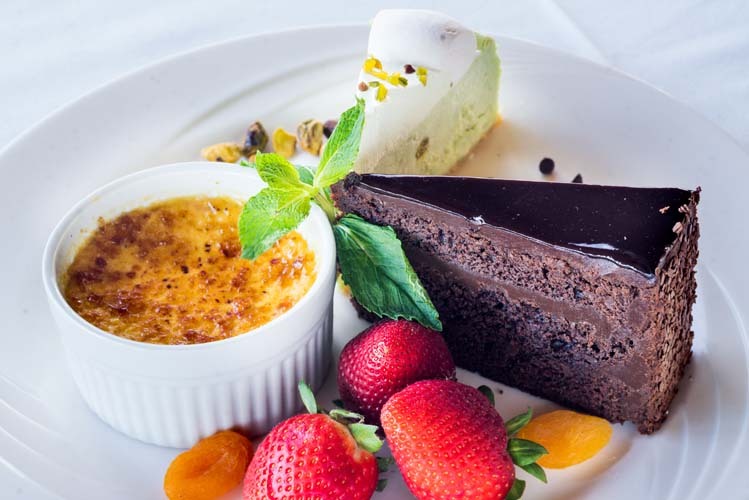 In addition to wonderful seafood and pasta entrées, Dario’s also offers excellent steaks, veal chops and ossobuco. 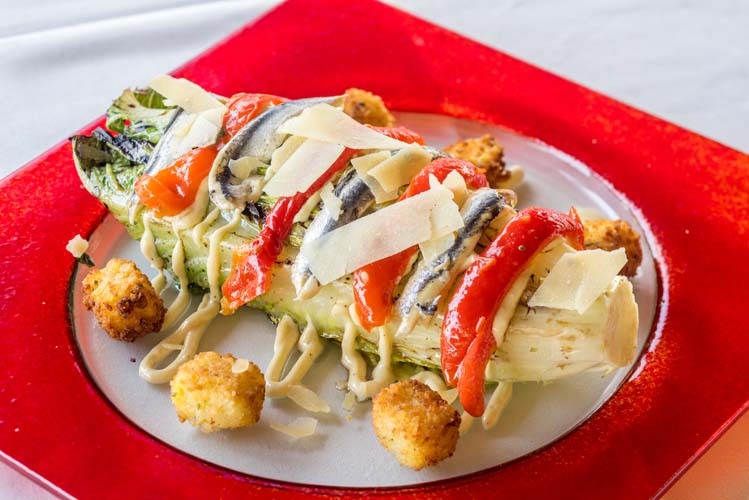 In its sixth year, this trattoria has become a favorite of many island residents. The reason, in my view, lies in the sumptuous simplicity of its many fine dishes. The reviewer dines anonymously at restaurants at the expense of Vero Beach 32963. Hours: Daily 4:30 p.m. to 1 a.m.